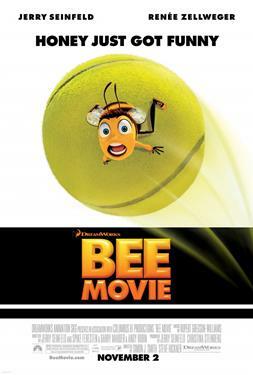 From creator Jerry Seinfeld comes Bee Movie, a comedy that will change everything you thought you knew about bees. Take a closer look at their world through the eyes of one bee in particular -- Barry B. Benson (Jerry Seinfeld). A recent college graduate, Barry wants more out of life than the inevitable career that awaits him and every other worker in New Hive City -- a job at Honex... making honey. Barry jumps at the chance to venture out of the hive, and soon encounters a world beyond his wildest dreams. When Barry inadvertently meets a quirky florist named Vanessa (Renée Zellweger), he breaks one of the cardinal rules of beedom -- he talks to her. A friendship soon develops, and Barry gets a guided crash course in the ways of the human race. When he shockingly discovers that anyone can purchase honey right off the grocery store shelf, he realizes that his true calling is to stop this injustice and set the world right by suing the human race for stealing the bees' precious honey.